An 18th century smuggling haunt tucked away in the back streets of Hastings Old Town, the Hastings Arms is a warm and welcoming retreat promising great beer and food and a superb atmosphere. The pub boasts scrubbed pine tables and wooden floors and walls festooned with mirrors and fishing nets - making it a characterful place to while away the day with superb Kentish ales and home-cooked classics for company. Even living legends make the odd appearance here. 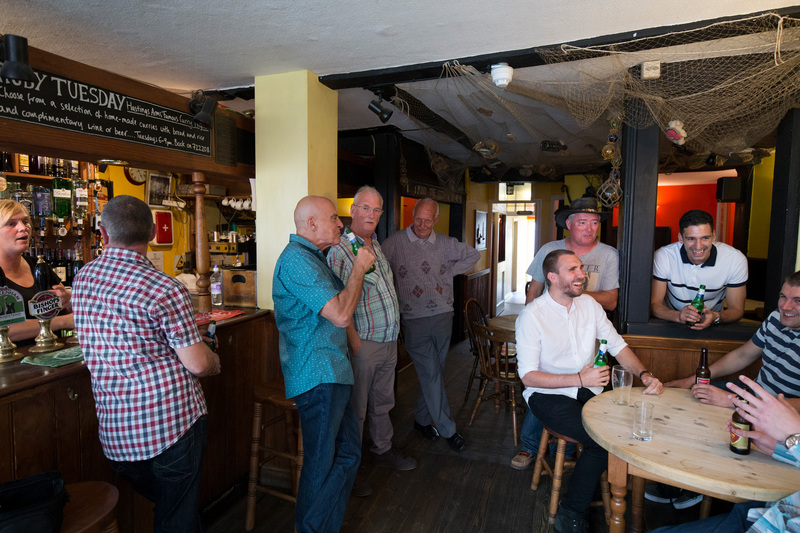 Jamie Oliver and Erasure’s Andy Bell have both been spotted enjoying the pub’s popular live music nights, with Blues music playing every Monday and a professional open mic session every Wednesday. Follow in their footsteps and savour the superb atmosphere, or even take to the mic yourself. Just visit the events page to find out more.